Canada's year of celebrations has begun. Entripy wants to help you celebrate this momentous occasion in Canadian history. 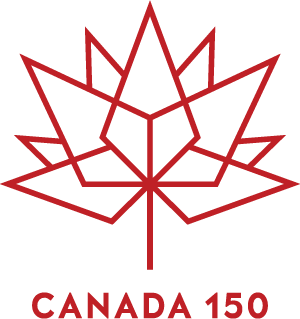 We are an officially licensed supplier of the Canada 150 logo. 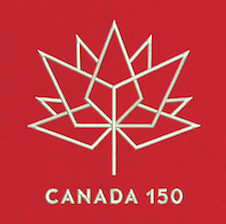 Now you can show your Canadian pride by adding the Canada 150 logo to your custom apparel order. 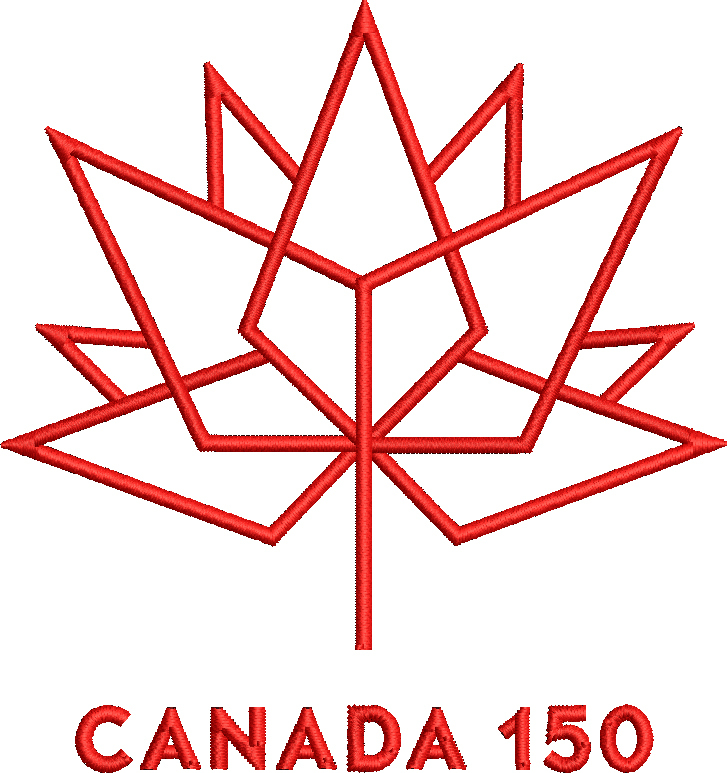 The Canada 150 logo can be added to your any corporate, school, event, or personal custom apparel order. 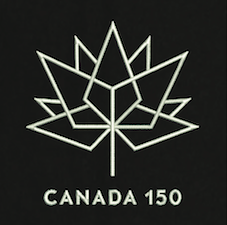 When on Step 2 of the ordering process, simply click on the “Add Canada 150 Logo” and select from the drop down menu of options. A full list of decoration types is found below. 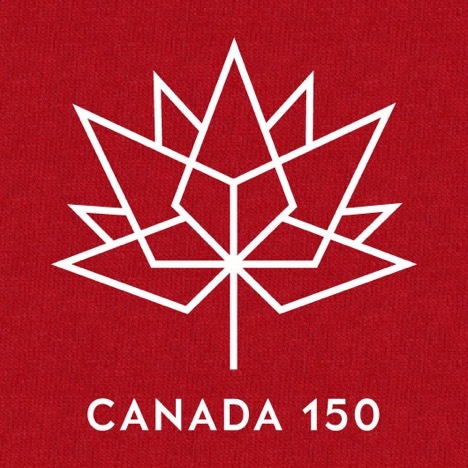 To add the Canada 150 logo to your custom apparel order, simply select the additional print location you’d like the logo to be placed and copy and paste the design option you’d prefer. 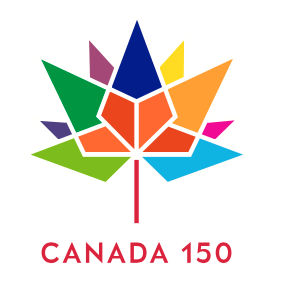 Based on the iconic maple leaf symbol, the Canada 150 logo is composed of a series of diamond shapes arranged in the shape of the maple leaf. The four diamonds at the base of the leaf represent the four original provinces (Ontario, Quebec, New Brunswick and Nova Scotia) that formed Confederation in 1867. The other nine diamonds extend out from the base to represent all 13 provinces and territories. 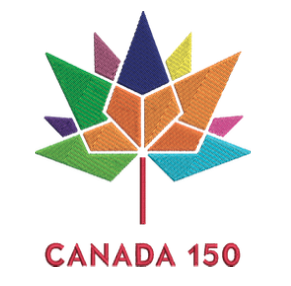 The logo was designed by Ariana Cuvin of Toronto, who won a nation-wide competition for the Canada 150 logo.